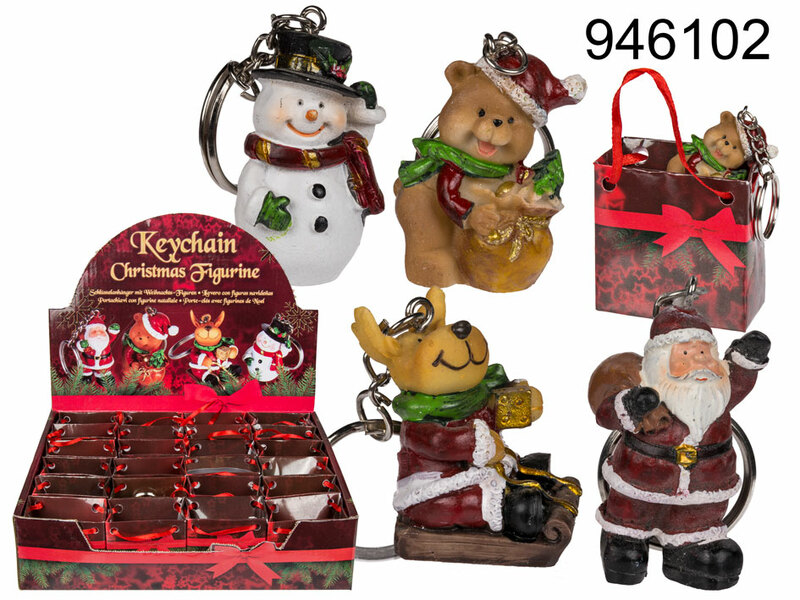 Lovely polyresin Christmas figurine on keychain. In tiny gift bag. Size: 2.5 x 3.5 cm. 4 design available - assorted. Display stand contains 24 items. The given price is for 1 item. Casual Christmas gift idea for everyone.